During a Pressed Juices Cleanse, you will have 8 bottles (470ml each) to consume per day, consisting of over 6kg of fresh natural produce. The juices act as a meal replacement across each day, thereby giving your digestive system a rest whilst flooding your body with bio available nutrients. You will not consume any solid food, and we recommend avoiding caffeine, alcohol, sugary drinks and anything processed during the cleanse. Whilst our body is designed to naturally and constantly detoxify, modern life has increased the load of toxins immensely. We are surrounded by pollution, chemicals, plastics, as well as alcohol, caffeine, medications and food preservatives. Our livers simply cannot keep up. Our sensitive organs and immune systems were never designed to put up with this assault, and thus we are left feeling sluggish, tired and stressed, having skin break outs, carrying excess weight, and having weakened immune systems. Thus we all need a kick starter once in a while. A Pressed Juices Cleanse is the perfect way to boost your detoxification systems, flush out toxins, hydrate your cells and nourish your body, and leave you feeling better than ever. 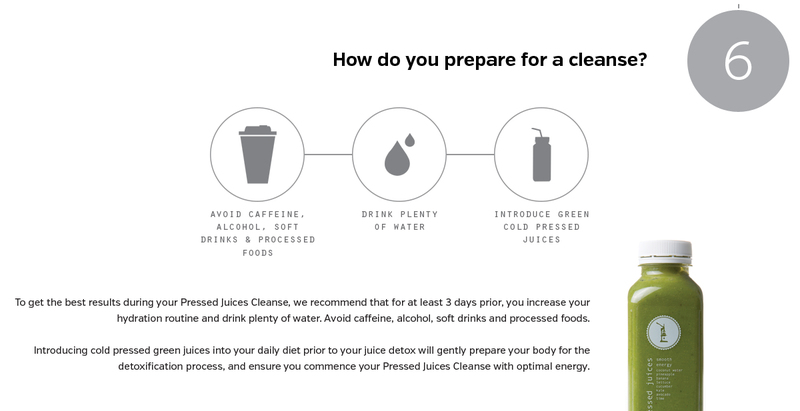 How does a Pressed Juices cleanse work? 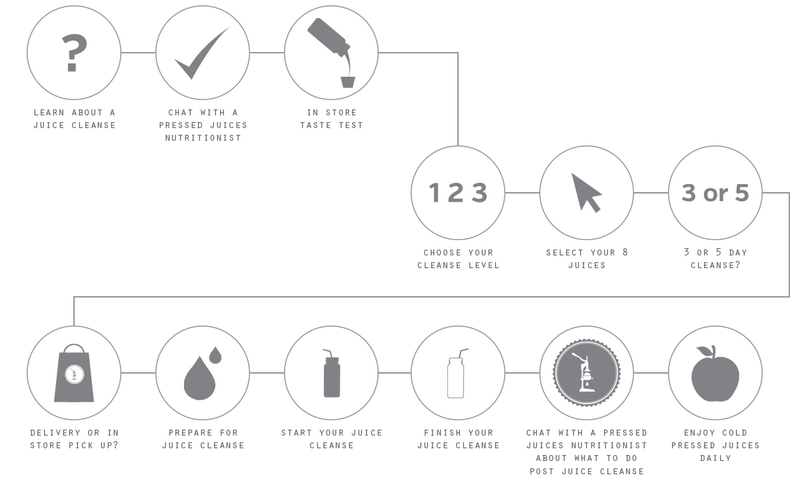 Our Basic Cleanse is designed for those people fairly new to juicing, and who want to gently commence the detoxification process. This cleanse gently purifies the body, eliminates unhealthy toxins, and assists you in returning to a natural state of energy and wellbeing. 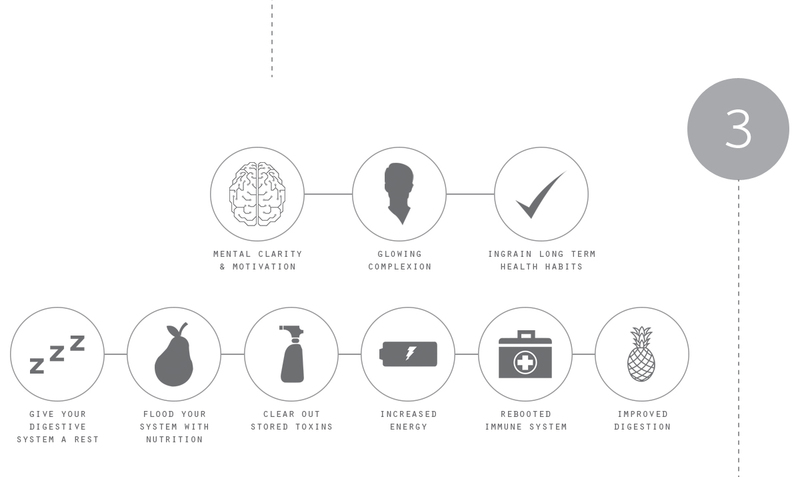 The Advanced Cleanse is tailored to those who have experienced juicing and who currently embrace an active lifestyle and healthy eating habits. Slightly more intense than the Basic Cleanse, it promotes a deeper inner cleansing and deeply purifies to both the mind and body. The Master Cleanse is our most advanced cleanse, and is geared toward experienced juicers and health enthusiasts. Rife with greens, it assists to eliminate toxins throughout the entire body, reset the immune system and renew your natural state of health and wellbeing. Due to restriction of protein and fat, as well as the fact that our juices have no added preservatives and are unpasteurized, a Pressed Juices Cleanse may not be suitable for everyone. Pregnant and breastfeeding women, individuals with compromised immune systems, some medical conditions or medications, as well as children and the elderly, are not advised to do a Cleanse.  *Please check with our Nutritionists if you are unsure or if you would like more information. Our cleanses have been formulated by Nutritionists to include a wide variety of fresh produce, focusing specifically on those plants traditionally praised for their ‘cleansing’ properties. Rich in essential plant micro nutrients, each juice contains a different nutrient profile that nourishes your body and supports detoxification and healing During a Pressed Juices Cleanse, you will have 8 bottles (470ml each) to consume per day, consisting of over 6kg of fresh natural produce. The juices act as a meal replacement across each day, thereby giving your digestive system a rest whilst flooding your body with bio available nutrients. You will not consume any solid food, and we recommend avoiding caffeine, alcohol, sugary drinks and anything processed during the cleanse. 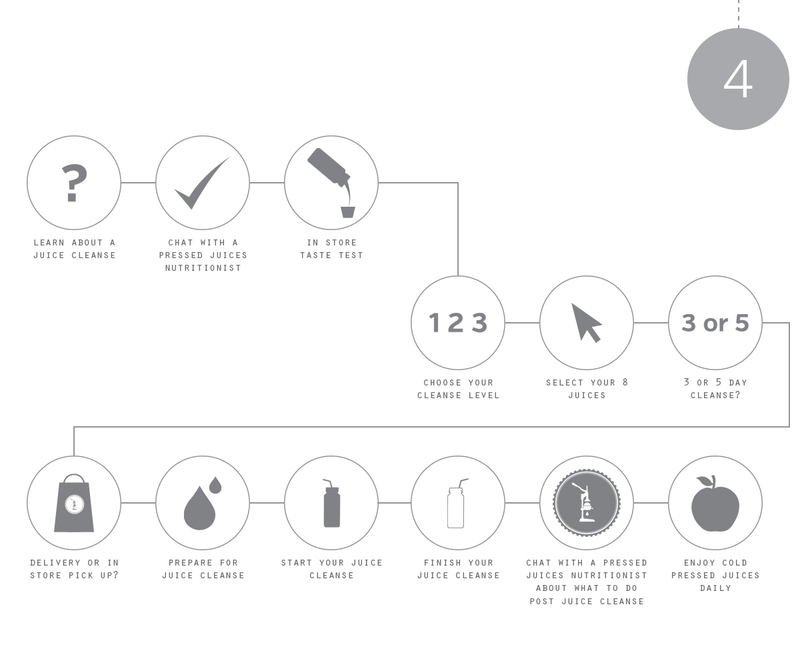 How do you prepare for a cleanse? To get the best results during your Pressed Juices Cleanse, we recommend that for at least 3 days prior, you increase your hydration routine and drink plenty of water. Avoid caffeine, alcohol, soft drinks and processed foods. Introducing cold pressed green juices into your daily diet prior to your juice detox will gently prepare your body for the detoxification process, and ensure you commence your Pressed Juices Cleanse with optimal energy. 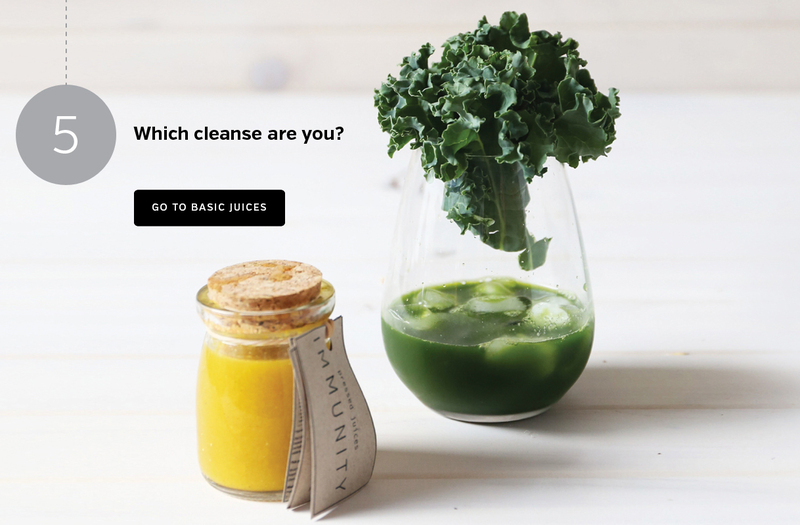 How long do the juices last for on a cleanse? Our juices are cold pressed fresh every day from raw, fresh produce, and contain no preservatives, additives and are not pasteurized. For this reason, your juices must be refrigerated at all times. The shelf life of the juice is 2 or 3 days (please check the recommended use by date), and once opened we recommend consumption within 12 hours.